Check your accuracy rate and improve your transcription skills! You're using a beta version of the Accuracy Assessment Tool. Compare with its actual transcript. Already Registered for This Test? Login here! Who should use the TCI accuracy assessment tool? This tool should be used by transcription newbies who want to practice on transcription files and get results instantly to assess their existing transcription knowledge and skills. How can the tool help me be a better transcriptionist? This tool is designed to help you improve at transcription by gaining more proficiency in required skill sets. Not only will you be assessed on your precision, spelling, formatting and typing speed, but the entire process is automated which leaves no room for error. How can I improve my transcription skills with this tool? This tool will allow you to have sufficient practice with its practice files. It also has a WPM Counter to improve your typing speed. Apart from assessing you on precision, spelling, and formatting ability, this tool also provides you with instant accuracy results, thus enabling you to become a complete transcriptionist. How can I pass a transcription test? You can keep checking you transcription accuracy with the TCI accuracy assessment tool and gain sufficient hands-on experience to pass a transcription test comfortably. How can I improve my transcription speed? You can use the WPM Counter to improve your typing speed. 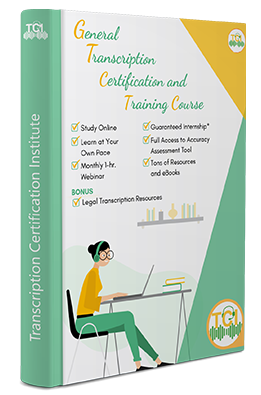 The TCI accuracy assessment tool has an assortment of transcription files to gain hands-on experience, get instant results to check your progress, and become a better transcriptionist. Where do I get free general transcription practice files? Once you sign-up for the Accuracy Assessment Tool, it will allow you to access the free transcription practice files. Here, you can either download the practice files or use the tool to determine their accuracy level in transcription.